As the days get shorter and the nights get colder, this can only mean one thing. Winter is coming our way. For many parts of the nation, this means snow and ice. To preserve the condition of your classic car, it is best to put it into hibernation mode for the next couple months. 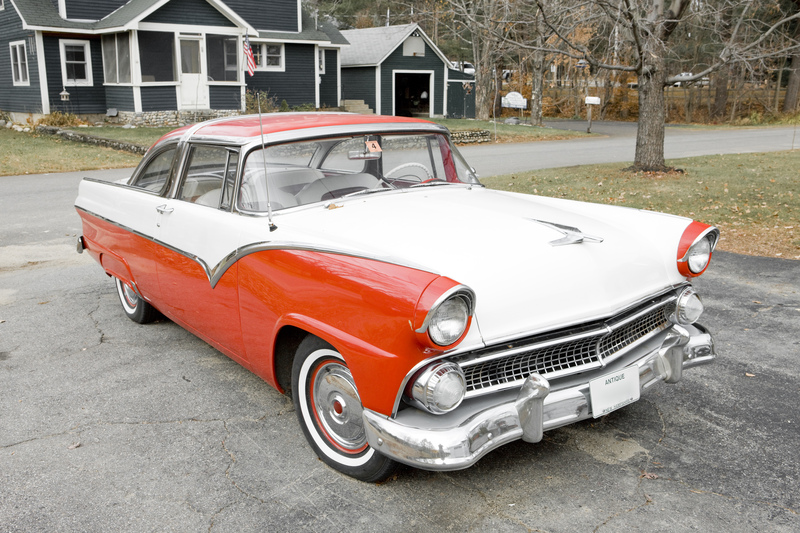 However, before you cover up your classic car and store it away for the season, you must take some preventative steps. This will ensure that your vehicle operates as it should come spring time. Below, you will find some basic steps that you should follow when preparing your classic car for winter storage. When deciding on a place to store your classic car, you should choose a dry, dark location. To keep away moisture, storage on concrete floors are best. This is why many classic car owners utilize their home garage. However, if you will be storing on another type of floor, you can park your car on a plastic sheet to prevent moisture from building up. If you do not own a garage or want added security, you can rent a storage facility. These facilities are specially designed to hold classic automobiles. Therefore, they are environmentally controlled. If you choose to go this route, it may be necessary to contact your auto insurance provider. Some insurance providers request that you notify them when storing in an off-site location. Before storing your classic car away for the winter, you will want to clean out the interior and exterior. Vacuum the interior. Food crumbs can attract insects and other pests, such as rodents. You do not want these creatures making your car their home for the winter months, as they will only wreak havoc. Also, remove all personal belongings from your vehicle. If you live in an area that reaches freezing temperatures, these items may become damaged or cause damage to your interior if left in the car. Not only must you take care of the interior, you will want to give the exterior a good wash. Placing a car cover on a dirty car will damage the paint. It is important to keep in mind that mold loves damp places. When storing in the winter, this means that your car’s interior creates the perfect habitat for mold and mildew. To prevent the growth of mold and mildew, you should close all air vents. If mildew were to grow on your fabric, it would not be fun, as you would have to remove it all. It is also recommended to use a moisture-absorbing product, such as baking soda, in the interior. Placing boxes or refrigerator packets of baking soda in your vehicle aid in absorbing any amount of moisture that may seep in. The last step you will want to take to protect your interior is place plastic bags or foil over the air cleaner and exhaust pipes. This will help keep insects and pests out of your vehicle. It is recommended that you fill the gas tank up prior to storage. This is primarily because there will be less room for air in the fuel tank. Air carries moisture, which can cause rusting. Modern day gasoline contains ethanol, which absorbs moisture. Therefore, many recommend using a higher octane fuel, which contains less ethanol. It is best to consult with your auto mechanic or manufacturer on what is best for your specific car. After filling up your tank, you will need to add a fuel stabilizer. Run the car for a short while to move the fuel stabilizer throughout the vehicle to all the important components, including the carburetor and fuel lines. For proper car maintenance, it is important to change the oil regularly. This is typically once a year, even if you do not drive your classic car but a few hundred miles. Before putting your car away for the winter, change the oil and filter. Clean oil reduces the chances of harmful contaminants and corrosive elements working away at your engine. It is also important to check your car’s fluids, including transmission fluid, coolant, and brake fluids. Make sure that they are at the appropriate levels. Replace, if necessary. When it comes to brake fluid, glycol based brake fluid can absorb moisture easily, which can damage your brake system. You can check the moisture content of your brake system by using test strips and electronic testers. Since your classic car will be sitting for an extended period of time, it is important to take the proper measures to prevent flat spots on the tires. There are two different approaches that you can take. Some people choose to over inflate their tires by 10-15 psi. Use caution when doing so. To better protect your car, use jack stands to keep your car raised. This remove stress from the tires and the suspension system. Cold air and your car’s battery is not a good combination. Cold temperatures can cause the plastic covering to crack and the battery to freeze. You should disconnect, remove, and store the battery in a safe, warm location to charge. Consult your auto mechanic or manufacturer for their recommendations. These are some general recommendations and steps to take for storing your classic car during the winter. After discussing with your mechanic, manufacturer, and other car enthusiasts, you may come up with alternative storage methods. The ultimate goal is to develop a plan that keeps your classic car in pristine condition until spring rolls around, again. National Dispatch is a top provider of auto transport services. We ship a variety of cars, including classics, across the nation. Maybe, you want to escape the winter months altogether with a snowbird move. On the other hand, you may be planning to enter a classic car show. Whatever the case may be, let National Dispatch help you. Request a free, instant car shipping quote. No personal information is required. If you prefer to speak with one of our representatives, call us at 800-321-2051.